One of the best makeup gifts I got this year! 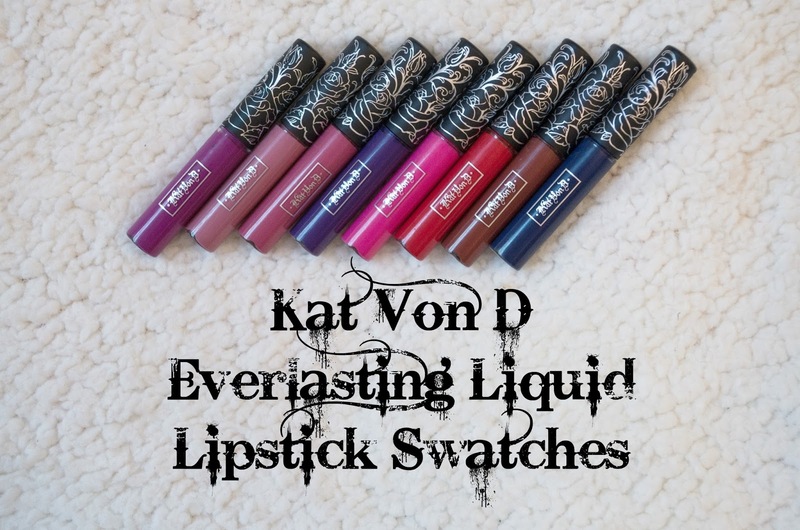 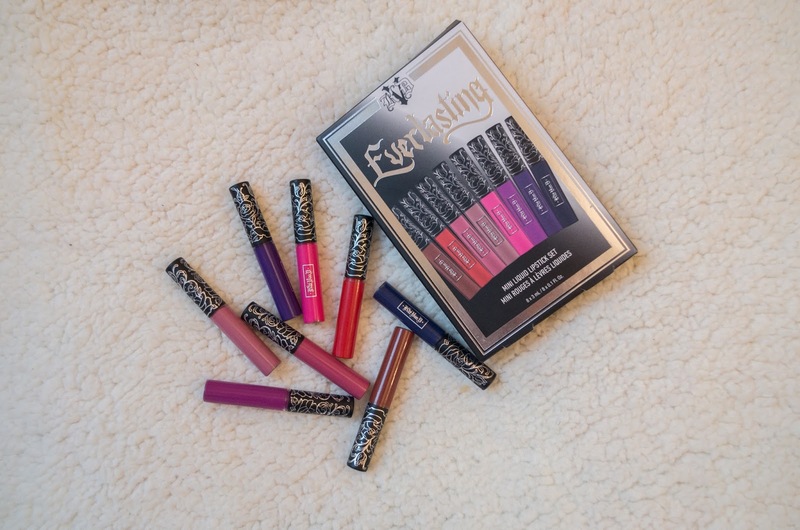 Not one, but EIGHT Kat Von D Everlasting Liquid Lipsticks - can you say AMAZING?! 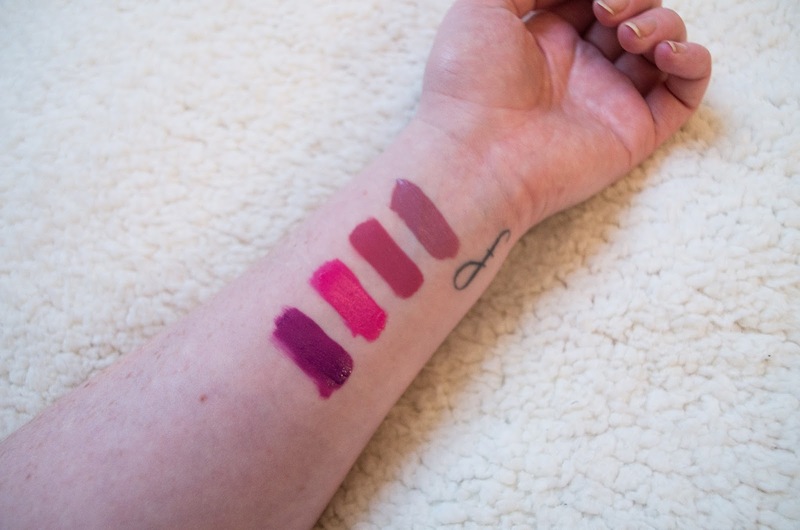 I have a video uploading as we speak with a lot more chit chat about these lippies, but it probably won't be live until tomorrow afternoon so I wanted to give you all a little heads up and some arm swatches! 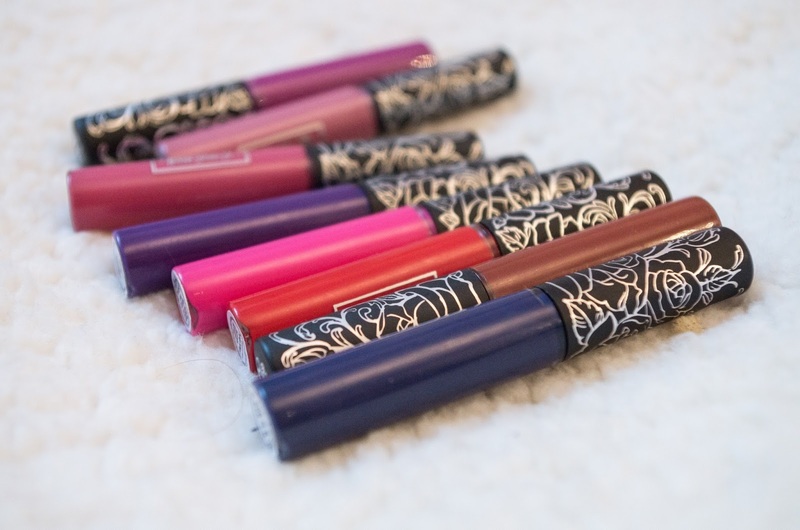 I love the mixture of shades you get in this little pack, from nudes to purples to blue! 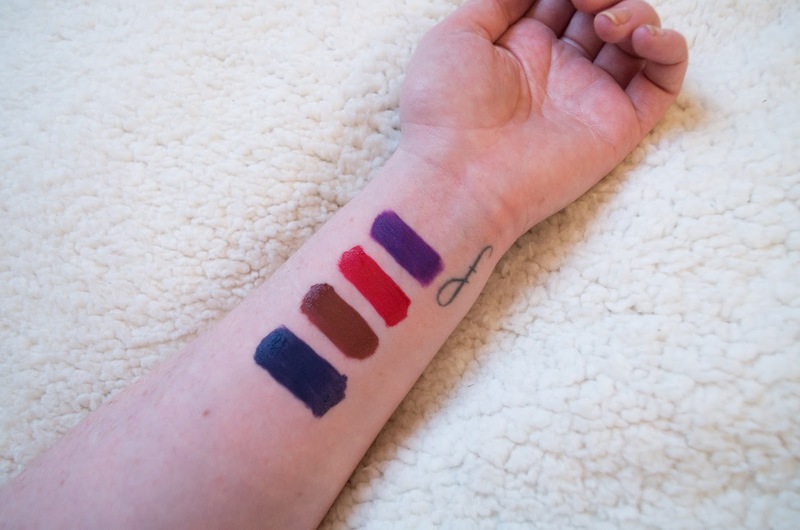 So happy with it - let me know your favourite colours and don't forget to check back to watch the video!